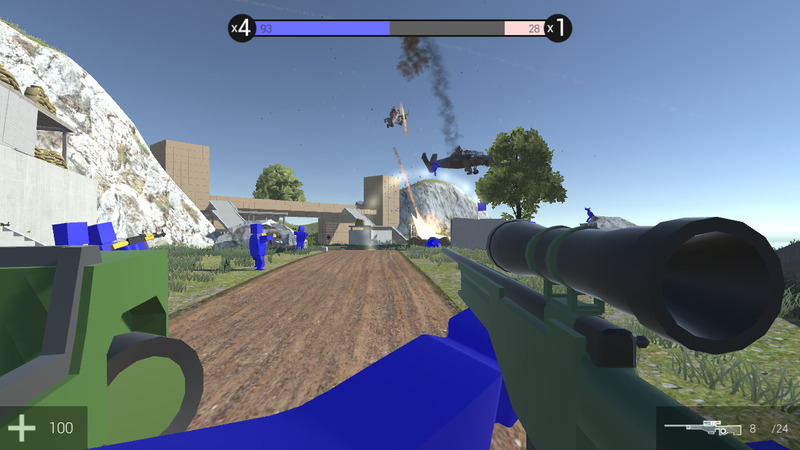 Ravenfield is a fast paced, action packed game you should definitely check out. This game will allow you to play the first-person battle in a traditional 16-bit graphics. So don't hesitate and play Ravenfield online with no download! Ravenfield is a fast paced, action packed game you should definitely check out. This game will allow you to play the first-person battle in a traditional 16-bit graphics. If you like the feeling of realism in your games you will definitely love “rag doll” physics. And the best thing? Ravenfield is free to play on Vortex! The main goal of the game is to beat your enemy team's score by 200 points. You will experience a mix of a first-person shooter and a platform to control vehicles such as cars, tanks, and helicopters. 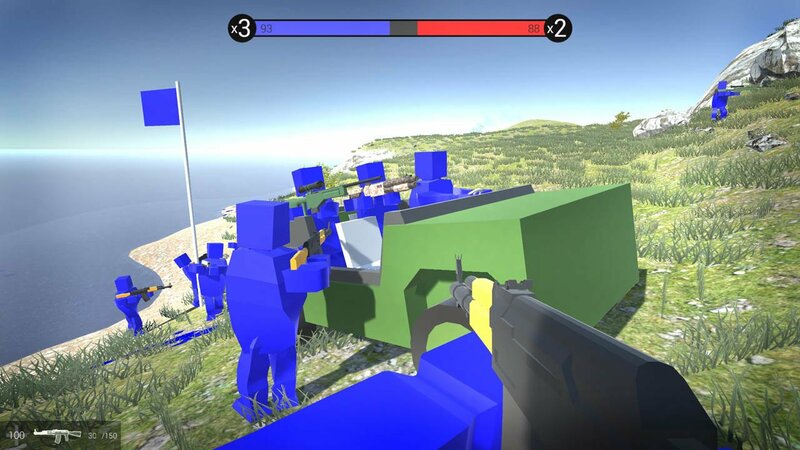 You will be a member of “Blue Team” and with your Blue allies, you will show the annoying Reds that you rock! Do this by capturing flags and killing enemies. If you capture the flag you will get more spawn points and your Flag Multiplier will increase. This is important because that way you increase the score you gain per enemy kill. The other way to win the whole game is to capture all spawn points. This game was designed for your entertainment so the gameplay will not be challenging. If you are looking for some relaxing time and don't feel like playing a complicated gameplay you will love Ravenfield. The best thing is that now you can not only play Ravenfield online in a browser on your PC. With Vortex, you can play it anywhere using your Android phone or other devices. You can play as many gameplays as you want! 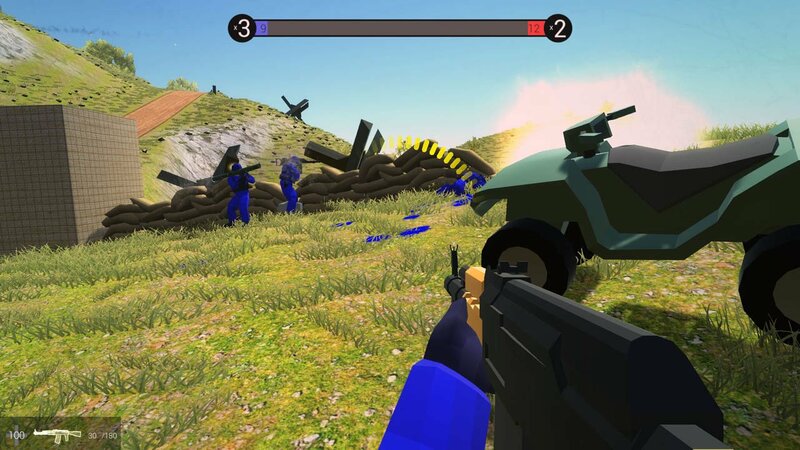 Ravenfield is a fast-paced action game when you join a team of Blues and kill Reds in an absolute mayhem. You play it on Vortex without using any gaming hardware on any platform of your choice. Play Ravenfeeld free of any distractions and without boundaries made by hardware producers. How do I get into the vehicle in Ravenfield? To enter or exit any vehicle in Ravenfield you have to aim controller at a seat and press F.
You can play Ravenfield using Steam but you don’t have to own a Steam account if you play on Vortex! You can also play on every platform (PC, app, Android), even when you are traveling on during everyday commuting. There is no download or installation needed if you use Vortex cloud gaming services. 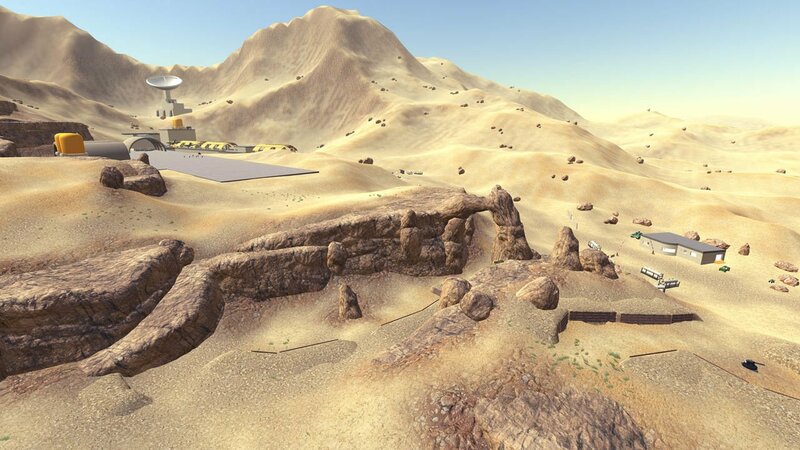 You can play Ravenfield online on any platform and in any place. YOU CAN PLAY RAVENFIELD ON ANY DEVICE ON VORTEX FOR ONLY 9,99 $/month. Using our cloud gaming service you can play your favorite game on any device. Don’t concern yourself with having the expensive hardware. You can start playing at any time and in every place.